[Saumil] starts off by packing the real exploit code into an image. He demonstrates that you can do this directly, by encoding characters of the code in the color values of the pixels. But that would look strange, so instead the code is delivered steganographically by spreading the bits of the characters that represent the code among the least-significant bits in either a JPG or PNG image. 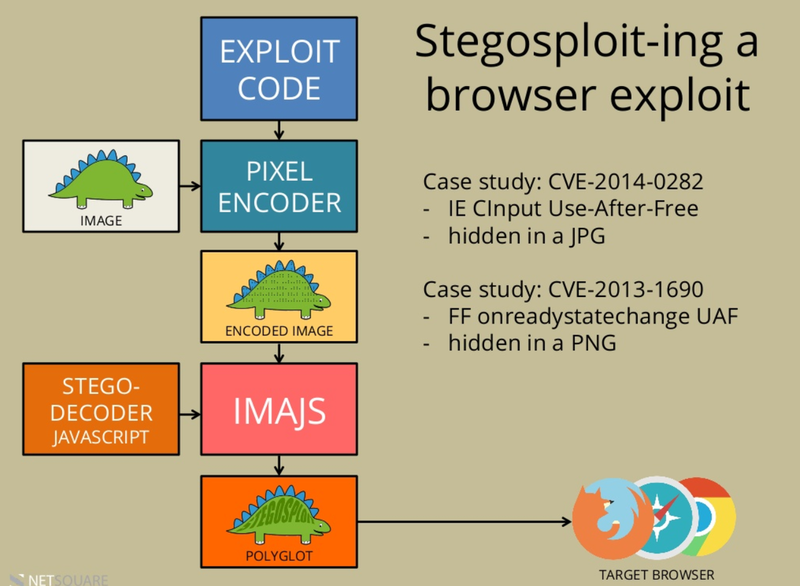 We like this because it combines two sweet tricks in one hack: steganography to deliver the exploit code, and “polyglot” files that can be read two ways, depending on which application is doing the reading. 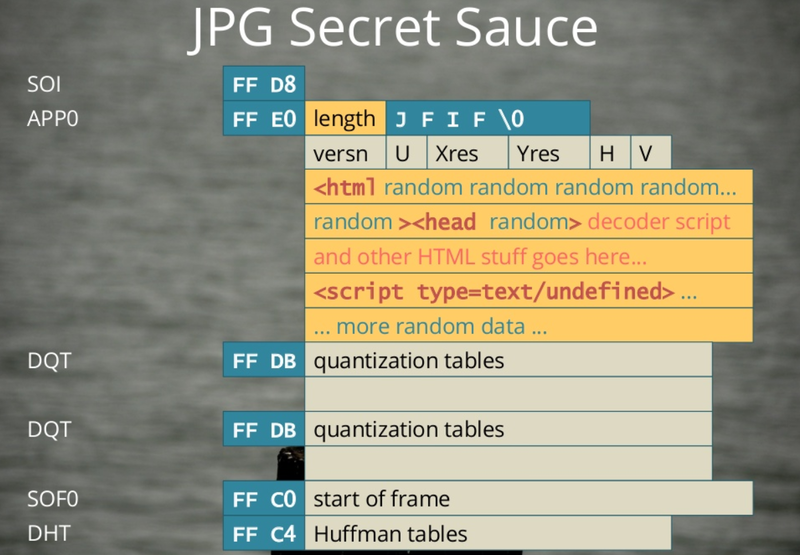 A quick tag-search of Hackaday will dig up a lot on steganography here, but polyglot files are a relatively new hack. [Ange Ablertini] is the undisputed master of packing one file type inside another, so if you want to get into the nitty-gritty of [Ange]’s style of “polyglot” file types, watch his talk on “Funky File Formats” (YouTube). You’ll never look at a ZIP file the same again. Sweet hack, right? Who says the hardware guys get to have all the fun?